Epidemiological and statistical data which describe dog bite injury can facilitate the implementation of public health policies and dog bite prevention strategies. For example, if statistics show that most dog bites happen near the territory of the dog to familiar children of a certain age group or gender, then safety measures can be implemented targeting these factors. Neighborhood children of a certain age or gender could be instructed to avoid certain locations, or not to interact with certain dogs. This was the aim of a recent study (Matthias, J., et.al. Setting and Ownership Analysis of Dog Bites in Bay County, Florida from 2009 to 2010. Zoonoses and Public Health. 2014) which analyzed demographic factors associated with dog bite injury in Bay County Florida, between 2009-2010. Data collected included the victim’s age and gender, the reported cause of the bite, the context in which the incident happened, whether the dog was restrained, the relationship between the victim of the dog. 799 dog bite instances were investigated. Males, rather than females, were the ones usually bitten by unrestrained dogs off the owner’s property. 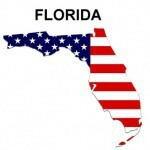 These Florida dog bite statistics add to the fairly voluminous literature on dog bite epidemiology, and generally mirror results from larger studies done the United States and in other countries. 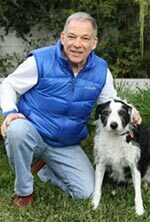 Animal behavior expert, Richard Polsky, PhD. is available to Florida dog bite attorneys in need of expert witness services. Both plaintiff and defense, criminal and civil. Reconstruction and analysis of provocation, assumption of risk, and identification of alleged dog bite injuries.